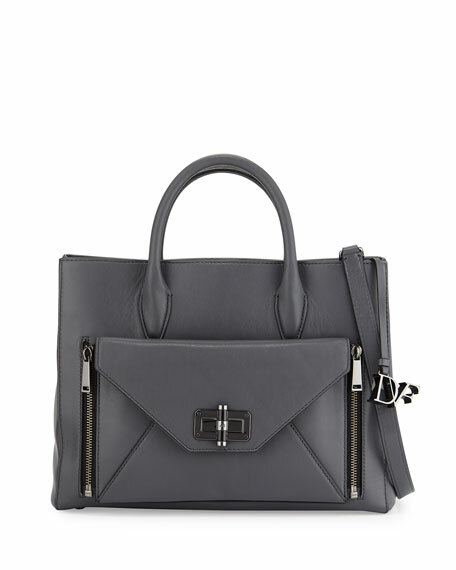 Diane von Furstenberg smooth calf leather tote bag with gunmetal hardware. Rolled tote handles, 4.8" drop. Open top with snap-tab closure. Zip-off envelope pouch with turn-lock closure. 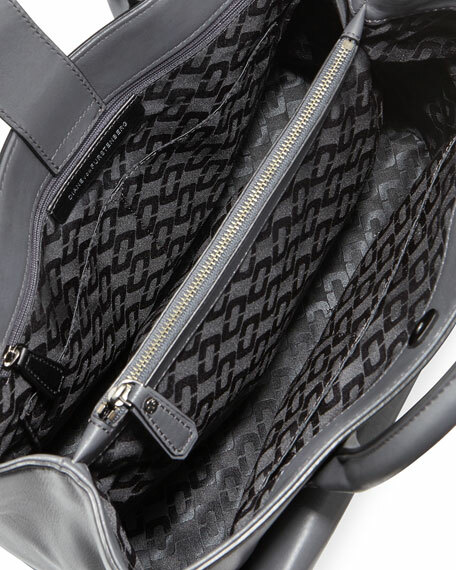 Interior, center zip compartment; one zip and four slip pockets. 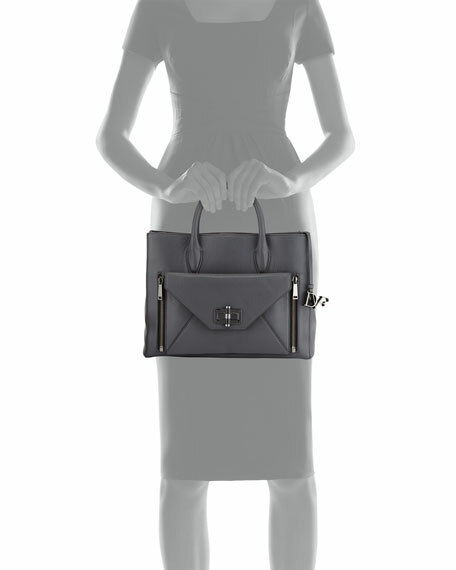 9.8"H x 12.6"W x 4.7"D.
For in-store inquiries, use sku #1743701.